There’s big news for Apple users; Apple has something big in store for its customers as always. CEO Tim Cook himself has disclosed that the company is going to update its products and bring out the new ones. This article highlights the latest update and a sneak-peek introduction of Apple’s upcoming operating system (iOS 8) for I-phone, ipad etc. The release date of iOS 8 is still under wraps but as per the tradition followed by the company it’s most likely to be released during their worldwide Developer’s conference, which is conventionally held during the month of June. With Apple’s iOS updates the whole software industry is speculating a huge impact on the I-phone 6. There’s a lot of buzz in the market about the features of this OS. A lot of rumors are spreading about the features introduced. 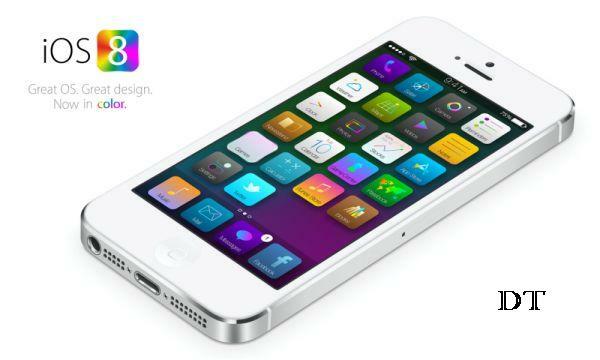 Read on to find about the latest updates and features of iOS 8. Apple proposes to launch a new health application. This health app will be codenamed as “healthbook”. There are rumors that this app is most likely to work with the Apple’s iwatch. From what we have heard, this app will keep track of the calories burned, the steps taken, will monitor your blood pressure and more. This report is supported by the evidence viz. The new features also include improved maps with trip planning and refurbished photo-streams. New Apple iOS 8 map will show directions for trains, subways and busses. With an aesthetic design with a technological revolutions that Apple has brought, the iOS 8 has only propelled some new hopes.